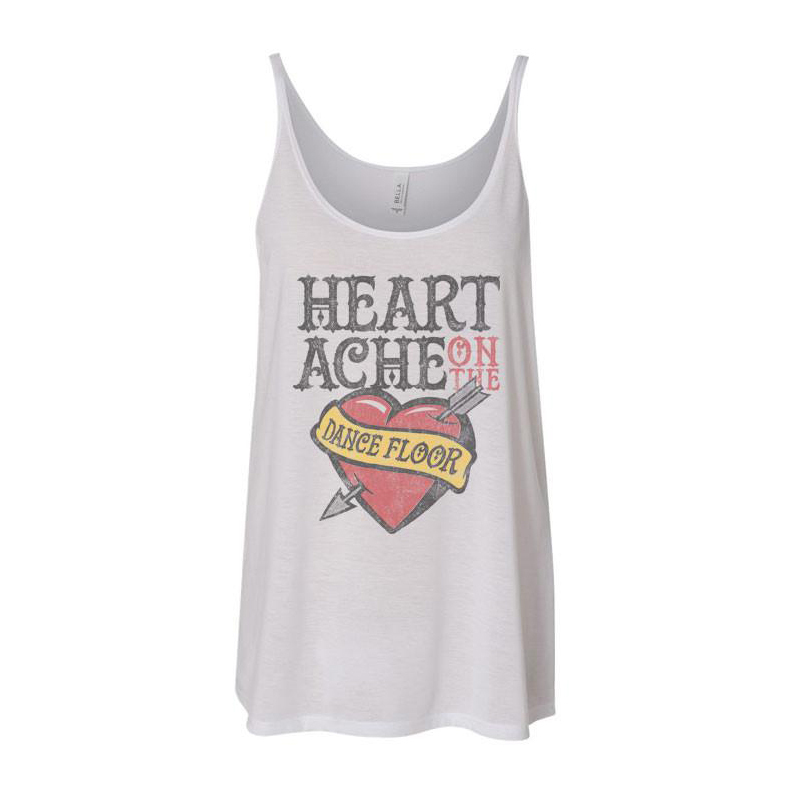 White flowy poly/viscose blend women’s tank with “Heartache on the dance floor” design. I bought a small thinking it might be to small...... THAT IS NOT THE CASE. 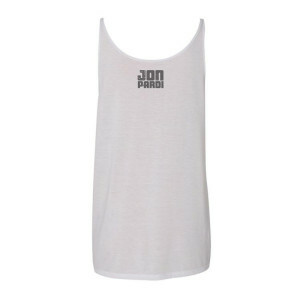 Shirt graphics are awesome, however the sizes run large. I love the shirt design &amp; quality, keep in mind the sizing runs big! This shirt is amazing, fits a little big but over all is great!